I like to think I’m a good person. I try to be kind to children and small animals. And I kind of believe in karma. It was therefore highly distressing when I saw bugs on one of my zucchini plants this morning. Lots of bugs. The bugs were gray and black and were actually kind of pretty (bugs don’t creep me out), but I suspected they weren’t a good sign. Sure enough, they are, appropriately named, squash bugs. Apparently there is no viable organic option to getting rid of them other than picking them off and killing them by hand. I discussed the problem with Michael. I really don’t like killing anything, even bugs. I’m the woman who carries out spiders by one leg and flings them out the back door without flinching. I liked his idea. Donning latex gloves, I carried my small, clear container to the garden. It was worse than I thought. The bugs were on both zucchini plants and on three acorn squash plants. Even worse, some of the leaves had squash bug eggs underneath. Nature is cruel. I’m a part of nature. The bugs were killing my zucchini. I did the best I could but there were a lot of bugs–and a LOT of eggs, which I tried to smush off the leaves as well. The eggs were strangely fascinating, bronze colored and uniformly laid. It only took about five minutes after the carnage for the guilt to set in. I had just killed, with my latex covered hands, living things. My only justification is knowing that last year all three of my zucchini plants died within two days. Their deaths were swift and their loss was strongly felt in my kitchen. And my stomach. Call it revenge if you must. I have a feeling I haven’t seen the last of the squash bugs. I know I didn’t kill them all or destroy all the eggs. And though I write about this in jest, I actually do feel guilty for killing the bugs. I realize if I resorted to chemicals to get rid of them it would be the same thing, but there is something not right about smashing a tiny creature between your fingers and killing it, even if it is for the greater good. Michael just laughs at my guilt and tells me we wouldn’t have anything to eat if we let the pests take over. Who knew gardening could cause such guilt and a moral dilemma, forcing me to choose between the things I planted and the insects who depend on them for life, and turning my fecund haven of nourishment into a killing field of unwanted pests? It’s been a very busy past two weeks. After a weekend in Houston and a weekend in Oklahoma–meaning very little time spent in the garden–and a few rain showers, the garden was a mess. It’s taken us two full weekends of work to get it back in shape. It’s been a frustrating two weeks. If I haven’t said it before, gardening is backbreaking work. I run 20-30 miles per week, walk around 10 miles a week, and do yoga almost daily, but nothing makes me more sore than squatting, bending over, and digging and hoeing in the garden. The first weekend of garden reconstruction we did nothing but pull up weeds and grass. The grass has been unrelenting. We had an extremely mild winter and above average rainfall this spring, and the weeds have also been ferocious. In addition, the bugs are out of control. We had some pest problems last year, but nothing like this. Something has ravaged the okra seedlings, chewing off half of each leaf. A few flower plants in the front garden have also been decimated, all their blossoms completely eaten off at the stalk and the leaves chomped up. It happened overnight, and I have yet to actually see what it is that’s eating everything. Last week we had our first small zucchini appear on one of the plants. I have six zucchini plants with multiple blooms, but only one was actually producing a fruit. I checked on it one morning, and in the afternoon Michael asked if I had seen that something had taken a bite out of it. Sure enough, you could see a groove where two teeth had taken a bite. Four days later I noticed the same plant was wilted, and when I checked on it the entire plant had been sawed off in two. I’m going to make a guess that it’s cutworms doing the damage and put a ring of aluminum foil around the base of the plants. 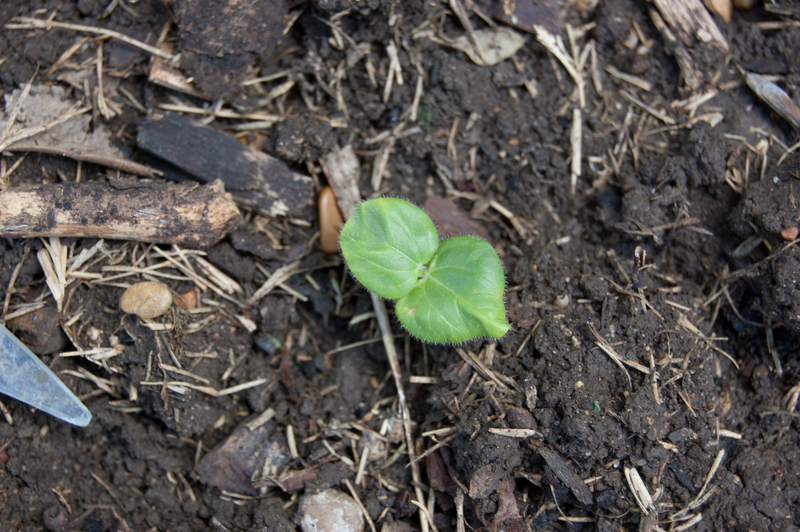 After Michael inadvertently stepped on the two largest, healthiest okra plants, we moved the remaining poor half-eaten seedlings to another area of the garden to receive more sunlight. They look pretty distressed by the move, and the fact that their leaves are half eaten, but I have faith they’ll bounce back. Could anything look more sad than this transplanted, munched up okra seedling? Michael also transplanted all his pepper seedlings into the garden. We have one empty row of garden space left, to be filled with something that hasn’t been determined yet. The tomato plants are tall and healthy and . . . barren. So far. None of the previous blossoms produced any fruit. Again, this was not a problem I faced last year. 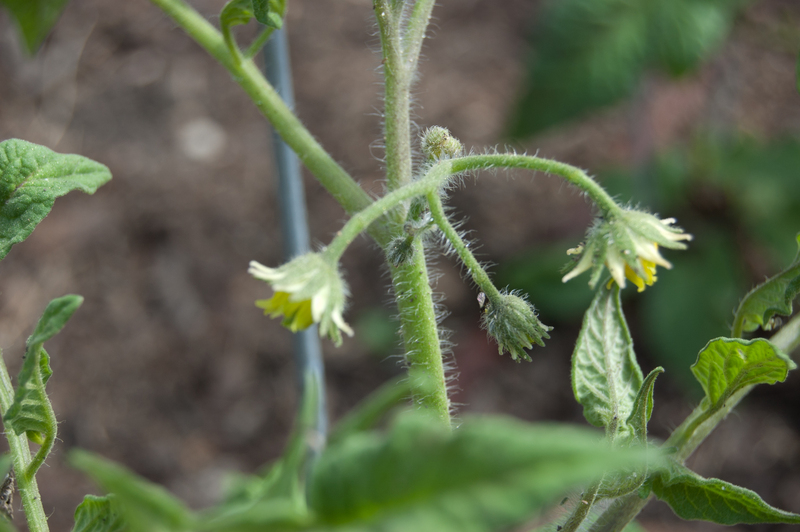 There are new flowers now, so hopefully some of them will produce tomatoes. On top of all this, there’s a rogue chicken who has been roaming the neighborhood. I can’t help but wonder if the chicken is the culprit, especially in the front garden and the decimated flowers. And remember, we live a mile from the heart of downtown Dallas, so it’s not common at all to see chickens strutting around your front yard. And it’s not your average, run of the mill chicken either, it’s an ostentatious black and white speckled chicken that’s showy and noisy. If I ever hear that chicken clucking in my front flower garden, all bets are off . . .
It’s only April and I’ve already had my first mosquito bite, but on a good note the fireflies have started to come out in the evenings. It’s strange, because I remember fireflies being a late summer treat from childhood. Fireflies in April already? We do have one huge success: we’ve already had our first harvest of green beans. Other than lettuce, I can’t think of anything easier to grow than bush green beans. They’re like the gift that keeps on giving. As for my front flower garden, it is thriving. It looks lovelier than it ever has. Last year I planted three delphinium plants. All three grew, but did not produce flowers. This spring the plants are HUGE and all three have big, beautiful stalks full of flowers. Best of all, the flowers are three different colors: white, red, and pink. These things have quadrupled since last summer, and I’m pretty sure they will take over the entire flowerbed if I don’t stay on top of them. I used to see these flowers when I lived in Switzerland. They didn’t bloom there until late July. 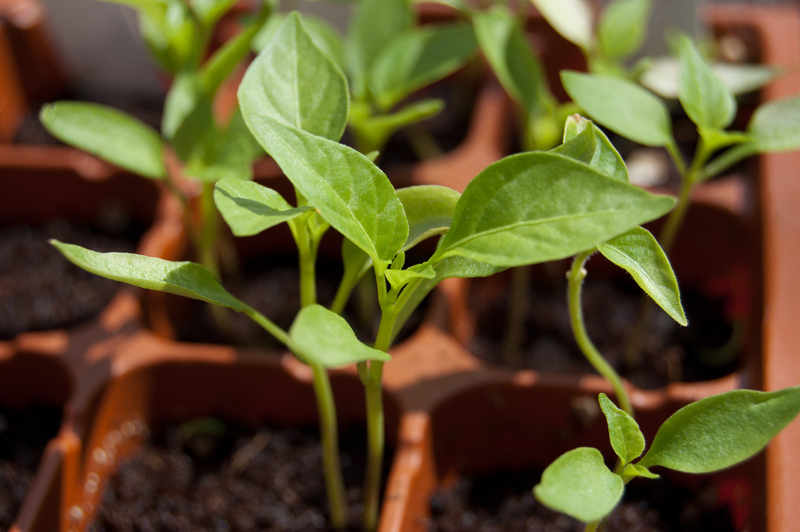 Seeds sown this past weekend: poppies and giant sunflowers, lettuce, and basil. Keep your fingers crossed. Hopefully things will start taking off in the vegetable garden soon and the frustrations will end. I’ll be in Portland, OR next week running a half-marathon and visiting my daughter, and I’m expecting the garden to be a cornucopia of good eats when I return. Last year we had almost no bugs in our garden, but this year is a different story. I guess the word’s out that there’s a new garden in town. And not having much of a winter means the bug population is exploding. I battled caterpillars on the lettuce last fall (and again this spring) and now the latest pests are aphids. On the lettuce they were green, but on the tomato plants they are tiny and black. I never even saw them on the lettuce until I washed it, and I had to wash the lettuce three times to get them all off. And I didn’t notice them on the tomato plants until I took a photo of one of our first blossoms. I’m going to try and get rid of them with some soapy water this evening. Hopefully that will do the trick. I also want to purchase some ladybugs and praying mantises to help eat the bugs. The seedling mystery may be solved soon. I have seven authentic okra seedlings coming up so I will be able to compare them to the ones I’m not sure about and make a proper ID. I asked someone at the garden center why they haven’t have any okra plants out and he said it was because the ground isn’t warm enough yet. No mystery here: THAT is an okra plant! Last year our tomato bed was like a jungle. We had a bumper crop of tomatoes before the heat took over, and the tomatoes weighed down the plants so much Michael had to rig up a system of ropes to hold up the plants. 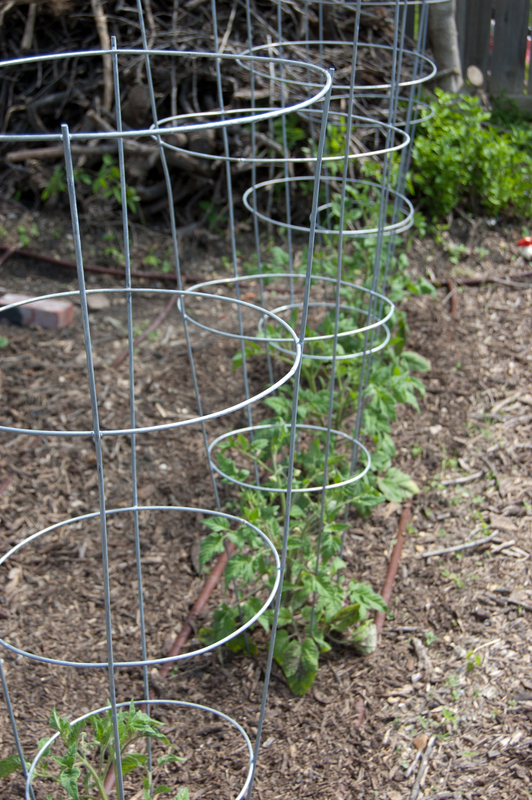 This year we’re going to try tomato cages and see if that helps. 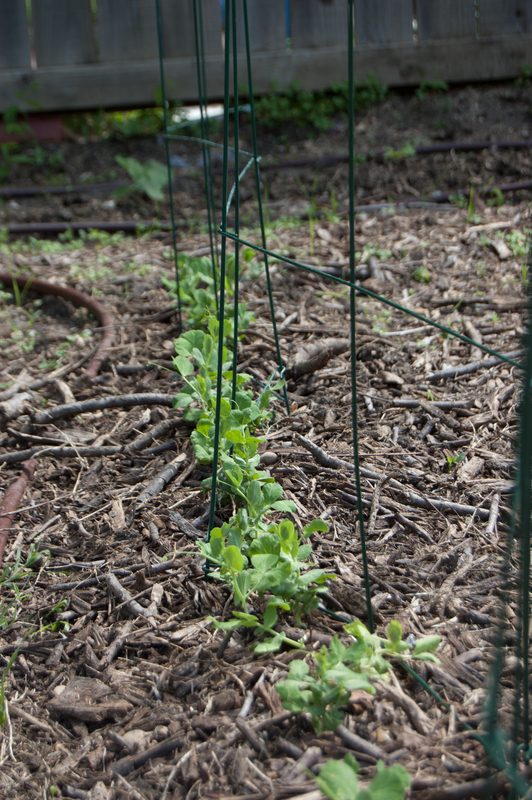 Also last year we didn’t put up a trellis for the peas to climb on, and they pretty much died off from powdery mildew from being on the ground. Hopefully this will help. 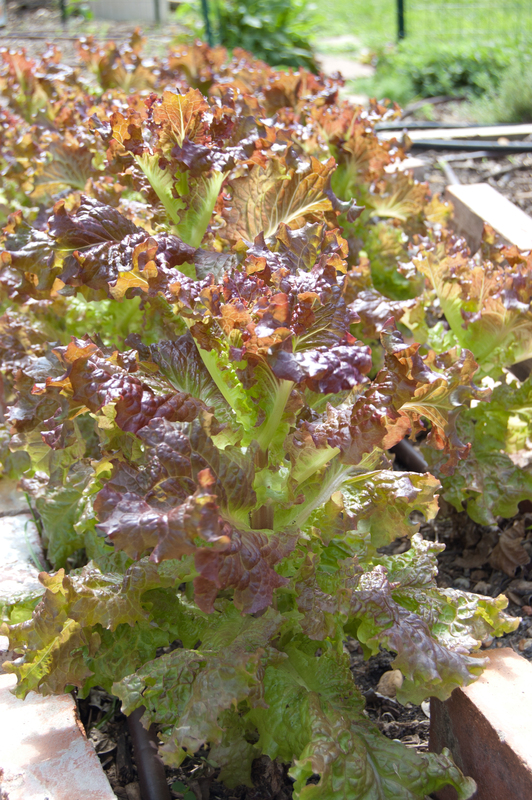 After a weekend with temperatures in the 80’s, my winter lettuce is seriously bolting. It’s time to start thinking about sewing some new lettuce seeds. I bought three different varieties this time, so it will be fun to compare them. 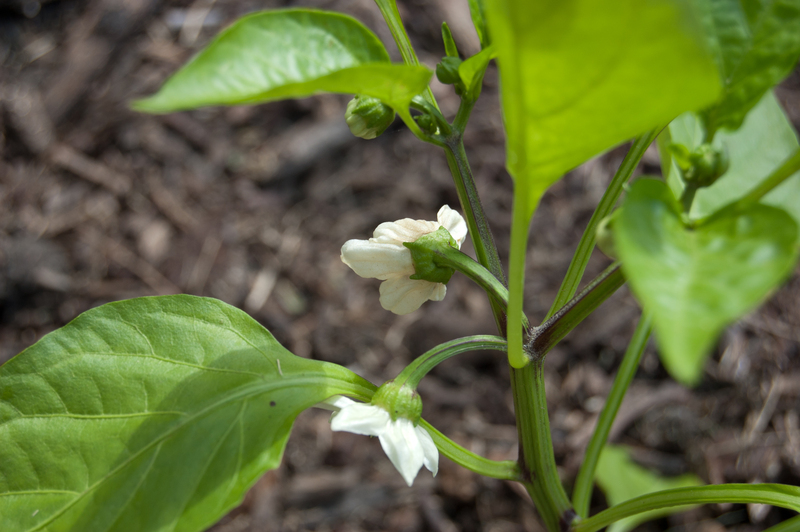 Michael bought a red bell pepper plant that is already blooming. He’s excited about having red bell peppers very soon. He’s also growing jalapenos and habaneros from seeds he took directly from peppers we ate for dinner one night. And he says I have the green thumb . . .
With temperatures in the upper 70’s and 80’s these past two weeks, I’m glad we started our garden early. I have a feeling it’s going to be an even hotter, longer summer than last year, which means a lot of the things we’re growing now won’t make it through the intense heat. I may have to figure out a way to grow some things in pots and keep them in the shade during the hottest part of the day.